We have many years of experience in acoustical engineering, from design of recording studios to design of buildings to meet local noise code. We maintain a laboratory equipped with a full complement of Brüel & Kjær instrumentation. In addition to extensive acoustical qualifications, our firm principals have experience in audio recording, live mixing, performance and media arts, electronics, electro-acoustics, structural and mechanical engineering, and the construction industry. We developed specialized computer programs for the benefit of our clients. 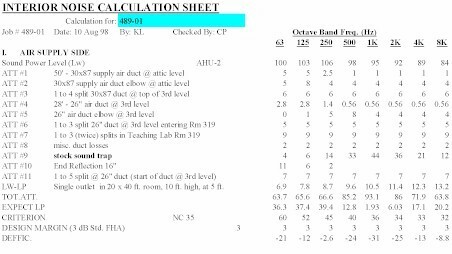 The following is a small sample of the acoustical engineering projects we have performed within the past few years. 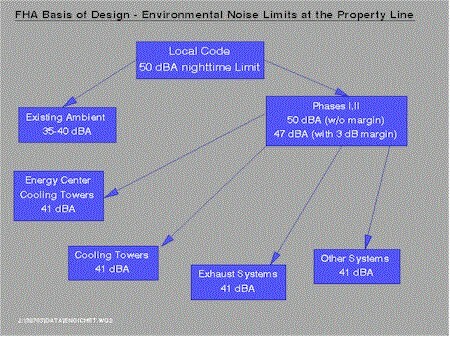 To determine the need of treatment for mechanical systems of a high tech facility to comply with local noise code, FHA put together a design basis for the different systems with the help of specialized in-house computer programs. Sound attenuators specified for air handling units to be installed in a university laboratory building were qualified to provide the required minimum noise reduction to meet the design criteria. Recommendations were made on the laboratory exhaust systems to comply with ASHRAE requirements for laboratory spaces.